Bungalow invites you to treat yourself to an afternoon of glamour! 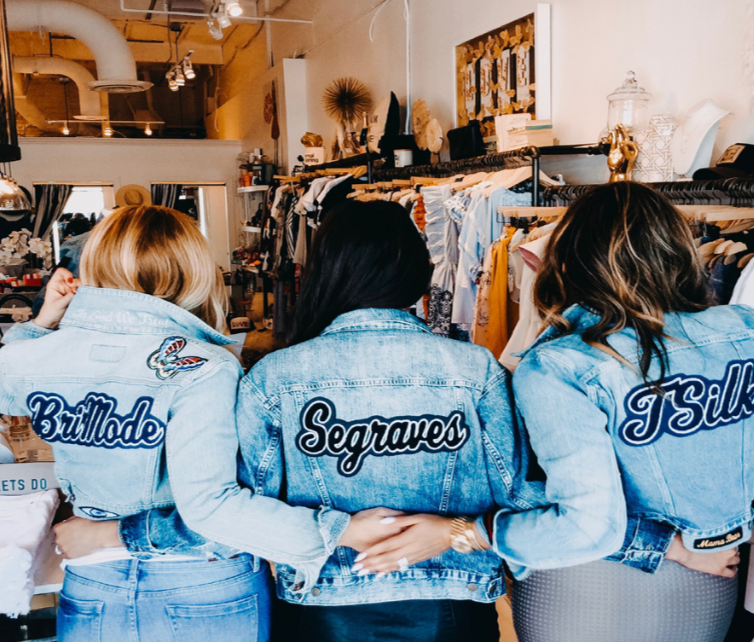 Thursday, November 8th from 11am-4pm, Sara Peterson from Gorgeous Things will be joining us for a custom denim workshop! Express yourself in denim, patches, and glitter to share your story one stitch at a time. There will be vintage denim and camouflage jackets provided which you can customize. The cost of the event is $300 which includes the cost of the jacket and unlimited stitching and patches! The event is open so come as you wish or stay the whole time! Workshop process takes about an hour to customize and you’ll receive your finished piece in about 3 weeks after! These custom jackets make a wonderful and personal holiday gift! Bring your girlfriends!